Traditional polish beers in shop costs around 3zł (less than one dollar). In bars of course more expensive and it depends of place. 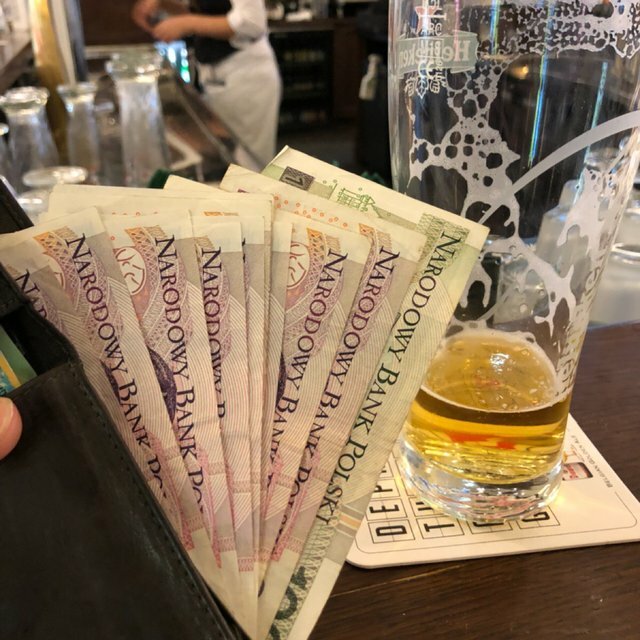 Usually its from 10zł to 18zł (2,75$ to 5$). Poland has a huge choice of local beers - industrial and crafted. If you are beer lover you will be in paradise ;-). I see @markoslaw; those prices are pretty good. I'm from Romania, so both the prices but also the value of the currency is pretty similar. Another thing I'm wondering, how expensive is a coffee over there? In regular coffee shops, not those fancy Starbucks ones.